To apply for a place at Holly Park School you must contact Barnet Council. The council handles all admissions and will be able to give you information on the cut off dates for applications. 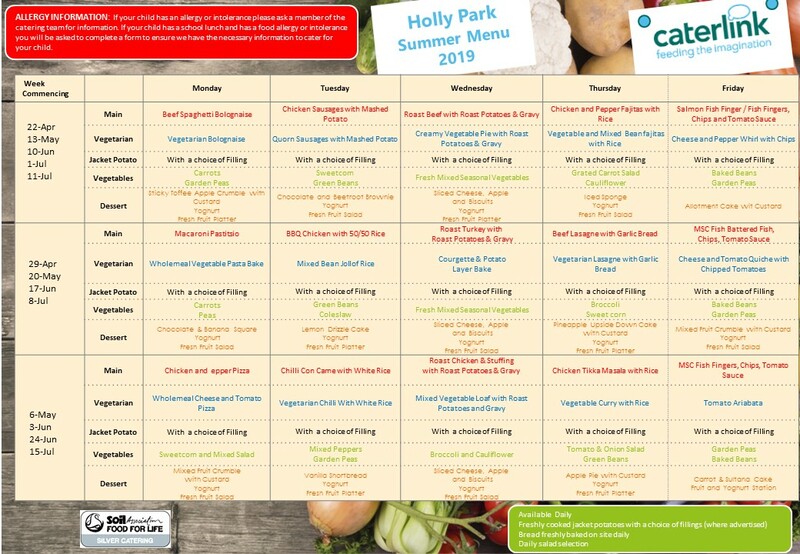 Holly Park is a Community school and is therefore owned and funded by Barnet Council. The admissions criteria are set and applied by the local authority. Please read further down this page for the admission criteria for Holly Park. Applications for Nursery are made direct to the school. Applications for Reception to Year 6 are made through Barnet. You can read more here. Even if your child attends Holly Park Nursery or you have another child in the school you must still apply to Barnet for a place in Reception. Please also remember that a place at Holly Park Nursery is no guarantee of a place in the main school. The main point of entry to the school is in Reception. Legally a child must be attending school the term after their fifth birthday. Almost all children in Barnet start school before they are five. All London boroughs work together on the Reception class admissions process and this is known as the Pan-London co‑ordinated admissions scheme. If you live in Barnet you must apply using a Barnet Common Application Form (CAF), where possible online. Remember! You must still complete a CAF even if your child is already in the nursery. As part of the application, you will need to send Barnet two items as proof of your address (photocopies please). These can be: a child benefit letter or tax credit documentation, and a copy of this year’s Council Tax bill. If your address has changed in the last two years, you may be asked for further proof that your current address is your permanent home address. When parents live separately, the application must be based on the address at which the child usually lives and from which s/he attends nursery school. When parents live separately but the child lives with both parents at different addresses, the child’s home address will be taken to be the address where the child lives for most of the week. If the child spends an equal amount of time with each parent, the address will be taken to be that of the main parent/carer eligible to receive Child Benefit and Child Tax Credit. In mid April a letter will be sent to you by first class post to let you know the result of your application. If you applied online, you will be sent an email with the outcome of your application. A map of each community school’s priority area can be viewed at www.barnet. gov.uk/schools. Or you can call the Admissions Team on 020 8359 7651 to obtain a copy. Living in a priority area does not guarantee a school place. Unless otherwise stated distances are measured between the address point for the child’s home, supplied by the Post Office, and the main school. Children who are ‘looked after’ and children who were adopted (or subject to residence orders or special guardianship orders) immediately following having been ‘looked after’. A child looked after is a child in the care of a local authority or provided with accommodation by that authority in accordance with Section 22 of the Children Act 1989. An adopted child is defined by section 46 of the Adoption and Children Act 2002. A residence order is defined by section 8 of the Children Act 1989. A special guardianship order is defined by section 14A of the Children Act 1989. Other children whom the Director of Education and Skills accepts have an exceptional medical, social or other need that the school is particularly able to meet. Applications in this category will be considered only if they are supported by an attached written statement from a doctor, social worker or other appropriate professional. Parents must demonstrate that there is a very specific connection between the child’s need and the particular school. Difficulties with child care arrangements because of work or other commitments would not be grounds for priority under this category. Information not provided at the time the application is submitted may not be considered at a later date. Children who, at the time of admission, have a sibling (brother or sister) living at the same address who already attends the school, or the linked school in the case of separate infant and junior schools. Siblings would include half, step, adoptive and foster siblings provided they also live at the same address as the applicant. Children living within the individual school’s defined area, with priority given to those who live closest to the school when measuring distance in a straight line. Unless otherwise stated distances are measured from the address point for the child’s home, supplied by the Post Office, to the school’s main gate. The distance between these points is calculated using the Council’s computerised geographical information system. Tie Breaker – distance will be used as a tie-breaker within each category. Final Tie Breaker – applicants from the same block of flats, or applicants who live the same distance from the school will be selected in random order and places will be offered accordingly. Applications made on behalf of twins or triplets – if only one place is available at the school and the next child who qualifies for a place is one of multiple birth siblings, we will ask community schools to go over their published admission number to support the family. These children will be deemed as ‘excepted’ pupils under infant class size legislation. All families must fill in a pupil information form for children attending Holly Park. You can print it out from here and hand it in to the office.